Spray Polyurethane Foam Insulation is one of the most advanced, energy-efficient insulation and air-sealing technologies available. With Rowland Insulation, you can be sure that you are getting a quality product and service at a highly competitive cost. In many cases, our spray foam insulation pays for itself over time. We mix our product on-site, ensuring the correct formula mix for lifetime performance insulation. Read more below to find out about our product and process. This technological advancement allows us to create superior comfort and energy efficiency through lower R-value, while cutting the home or business owner's heating and cooling costs across the board. Spray Foam was at one time a specialty item. However, it now represents one of the top solutions for insulation and air-sealing technology. There are many benefits of spray-foam insulation and air sealing. Many builders are beginning to realize that spray foam offers superb performance for homeowners looking to save on energy costs. 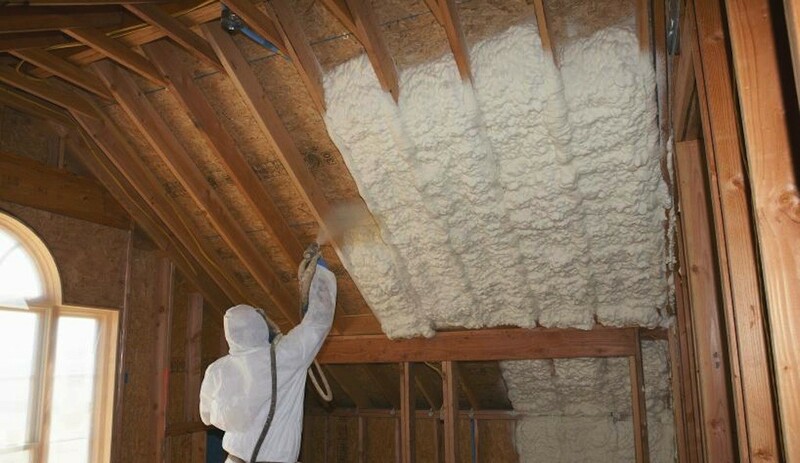 With heating and cooling costs continually on the rise, adding spray foam insulation to your home can help keeps these costs in check, all while providing a higher level of comfort in your home. If your air conditioning equipment and ducts are located in the attic, applying spray foam to the underside of the roof creates a semi-conditioned space that stays within 5 to 10 degrees of your living space. It reduces equipment wear and tear and lowers your cooling bills. Our leadership in spray foam technology is accompanied by an emphasis on installer training and certification, vigilant management and well-defined procedures. As a result, our crew has become one of the largest and most respected spray foam installation teams in the U.S. Adhering to high standards ensures builders and homeowners receive the service and quality they deserve. With the ongoing increases in heating and cooling costs, Rowland Insulation has worked hard to install polyurethane spray foam to the highest quality standards. In addition, by certifying and monitoring our spray foam installation team, we ensure that builders and homeowners can trust that these leading-edge products are installed correctly for lasting results. Closed cell spray foam provides the best available R-Values. If you are looking for a no obligation estimate, please Contact Us for an estimate on your next project. We handle all jobs, large and small for our residential and commercial customers.